An engineer by training, he began his career with Texas Instruments in 1984, and went on to serve Lembaga Letrik Negara for four years. In 1990, he left the engineering profession to become a dealer with OSK Securities Bhd where he first cut teeth on developing skills to manage a service-centric business. 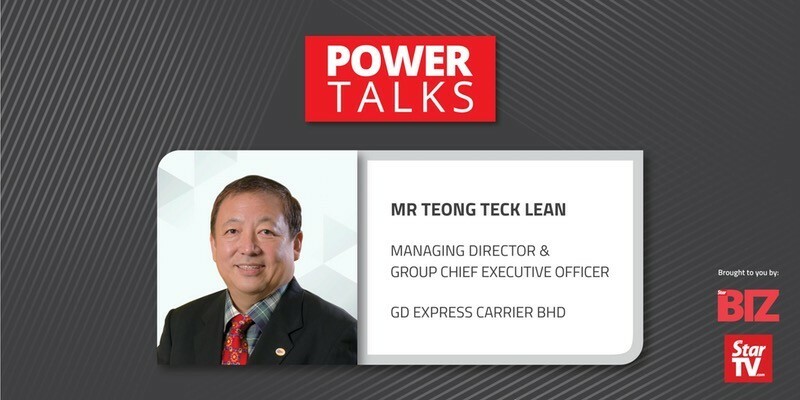 He acquired a controlling stake in GD Express Sdn Bhd in 2000, and was instrumental in turning around the ailing courier company. He put in place corporate policies and best practices which culminate in the listing of GDEX on Bursa Securities. Today, he still plays a key role in managing the business, providing strategic direction as well as overseeing the courier business operations. 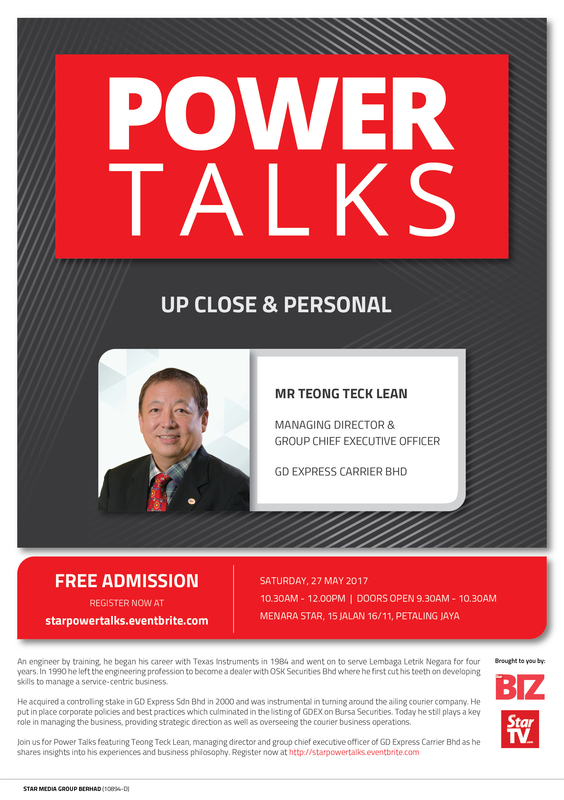 Join us Power Talks featuring Teong Teck Lean, Managing Director and Group Chief Executive Officer of GD Express Carrier Bhd, as he shares insights into his experiencs and business philosophy.